Sheets of glossy, nonabsorbent paper are coated on both sides. Coating allows the paper to resist running, smearing and bleeding. 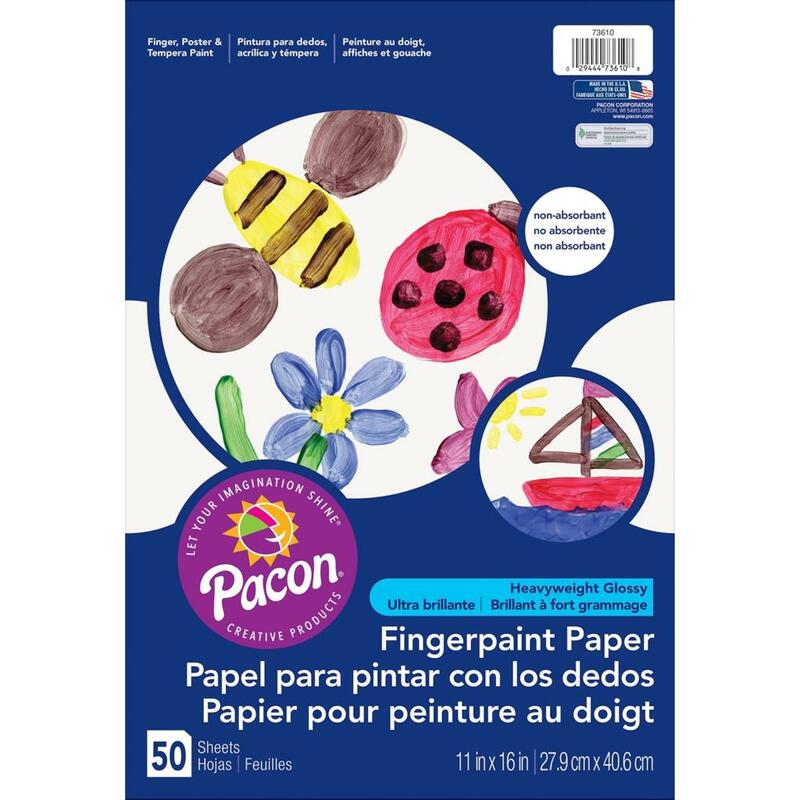 Coated White Fingerpaint Paper is recyclable.